Sometimes it’s not just all about the romance in a novel. For me, there is nothing like a brilliantly defined girl friendship. 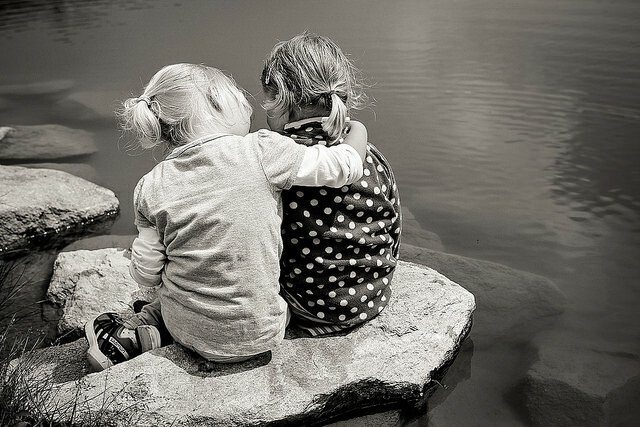 Our friends can offer us a shoulder to cry on, good advice, sometimes bad advice, a cup of coffee and a much needed listening ear when we need it. Here are some of my favourite girl BFFs in fiction – feel free to add your own at the end in the comments. Beatrice is such a strongly written character – many of Shakespeare’s women were feisty and strong and Beatrice is her own person who believes in herself and is confident. Beatrice is a little older and wiser than her friend Hero. Hero is younger and inexperienced. She is not jaded in love, but in love for the first time, so she has an extreme reaction to being accused of infidelity. Beatrice is a true friend to Hero: in troubled times, she stands by her friend, comes up with a plan to redeem her good name and will do anything to help her – even charging her one-time enemy (and would-be lover) Benedick to kill the man who has accused her friend. We could all do with a friend like Beatrice. These two sisters are very different people, but they get on so well. They are each other’s confidant and are able to talk about their feelings and their crushes very eloquently. They support each other completely. One of reasons that Elizabeth is so prejudiced against Darcy is that she believes that he separated her sister from her love, Mr. Bingley. The sisters are united in their embarrassment of their loud, match-making mother and rambunctious younger sister, Lydia. They commiserate with each other when it seems as though all is lost when Lydia elopes and they can rejoice with each other when it all comes right in the end. Thankfully, their men are BFFs too! The musical has taken the world by storm, and the unlikely friendship between Glinda, the good witch and Elphaba, the wicked witch of the west is at the heart of the story and the musical. Elphaba is green-skinned, an animal rights activist and not that interested in her appearance. Glinda is beautiful, aristocratic and very much concerned with how she looks, but these two girls find common ground and become good friends. Although they are only really together during their school days and are then separated for 20 years, they stay loyal to one another despite having different beliefs and their lives taking different paths. The March sisters are a close-knit family whose story takes place during the American civil war. Their father is away, fighting and the family does not have much money. The girls make their own amusement by performing the plays that Jo writes. The girls all have their own personalities: Meg is grown-up and sensible, Jo is the creative one, Beth is musical and Amy is a very girlie girl. Although the girls bicker, their friendships endure and when things go wrong, they all pull together. This story and the three that follow (Good Wives, Little Men & Jo’s Boys) all follow the March sisters as they grow up. These sisters are very different people. Elinor is the elder sister, sensible to the point of almost losing her own happiness, a support to her family and always thinking of others. She wants to do what’s right according to the conventions of her time. Marianne is the opposite – giving in to her emotions and living in the now. These sisters do not really confide in each other – well, no one is left in any doubt as to how Marianne feels, but Elinor does not really share her feelings until she has no choice, but they love and support each other and rejoice when each finds her heart’s desire. These two girls meet and are immediate friends. Mrs Barry, Diana’s mother, is not too taken with Anne, who is an orphan mistakenly sent to help Matthew and Marilla Cuthbert on their farm but Diana refuses to listen to her mother and the two girls have such a lovely friendship. They love and support each other right the way through the books and this is one of my favourite fiction friendships. These are just a few of the girl BFFs that are found in fiction. Most of these are friendships from long-standing novels (and a play) that many people will have heard of and enjoyed. There are many more, and if I have missed out your favourite girl BFF in fiction, then please do share in the comments below. If you liked this post, then please share it on your favourite social media.